Important Info: The below information is what was true when this box was purchased. 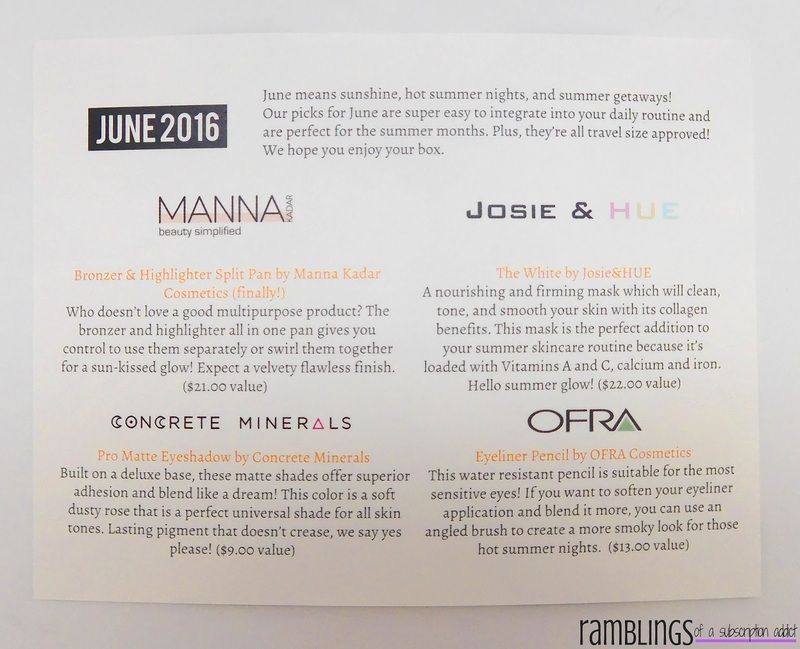 LaRitzy has completely changed their subscription and they now only have the LARITZY Monthly Beauty Bag which is $29.99 per month. The bag will include 3 full-sized LaRitzy Cosmetics products (their own in-house brand). I canceled before the July box, and I have not considered subscribing for this new bag. What is LaRitzy Box? : LaRitzy is a monthly subscription that sends you 4-5 full-size and luxury size products each month, with all products being vegan to help you transition to a vegan lifestyle. How Much is LaRitzy Box? : LaRitzy is $24.99 a month. I strangely was charged with an international transaction fee, which was very bizarre considering this is a box from the US. Each box has a guaranteed value of $60+ with some boxes having a $100+ value. 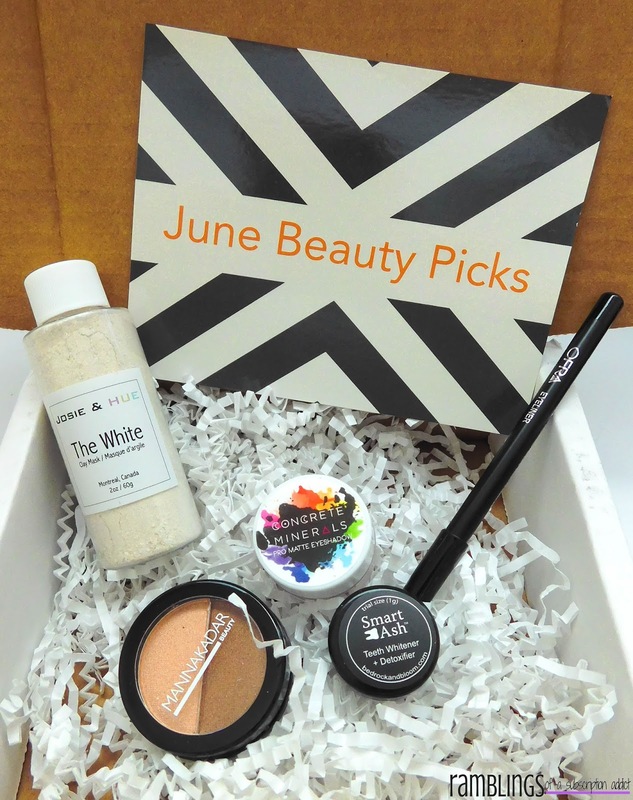 There is also a LaRitzy mini box that is $14.99/month that sends 2-3 products each month. Make sure to read to the bottom to find out how their customer service entirely failed me. Love the box, I can always get behind classic black and white. OFRA Eyeliner Pencil (Black) ($13.00) - Wonderful, another black eye liner. If there is one color that I never wear during the summer, it's black. Summer is supposed to be about lighter colors, so a brown would have been perfect. 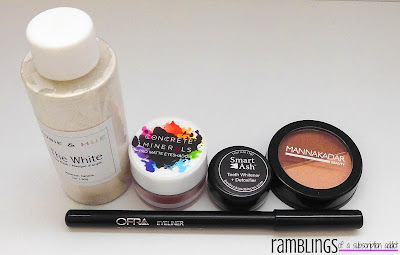 I really love OFRA Cosmetics products, I just am so tired of black eyeliners. 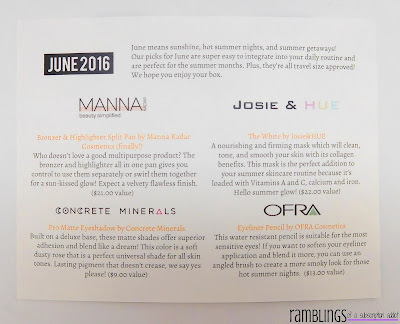 Manna Kadar Bronzer & Highlighter Split Pan ($21.00) - This is the product that was supposed to be in the May box, but somehow got left out so it was put in this box. 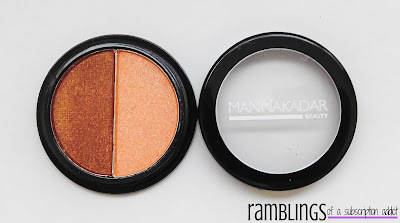 I like Manna Kadar, but this just is far too dark to work as a bronzer/highlighter for me. 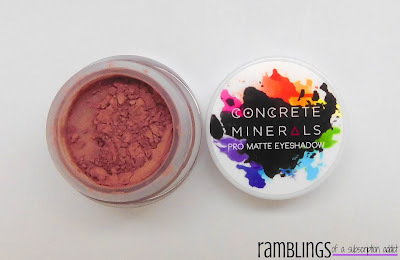 Luckily, it's the perfect mini eyeshadow duo, albeit an expensive one. Josie & Hue The White ($22.00) - This is one of those really cool dry masks where you add some sort of liquid product to form it up. On the website, they have listed various liquids/gels that can be used depending on your skin type. I love that this mask is made for all skin types to use, and I'll be trying it out for both normal and then again for dry skin in a few months when my skin dries out some. 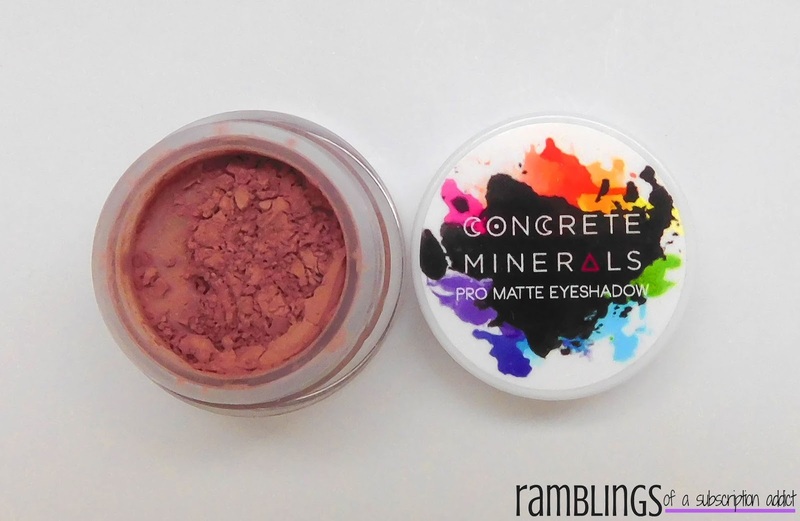 Concrete Minerals Pro Matte Eye Shadow (Bandit) ($9.00) - The website describes this as a soft rose, but mine is slightly more vibrant than what they show on the website. I don't dislike it, just thought it should be mentioned. I really like these loose eyeshadows, and the color is to die for. 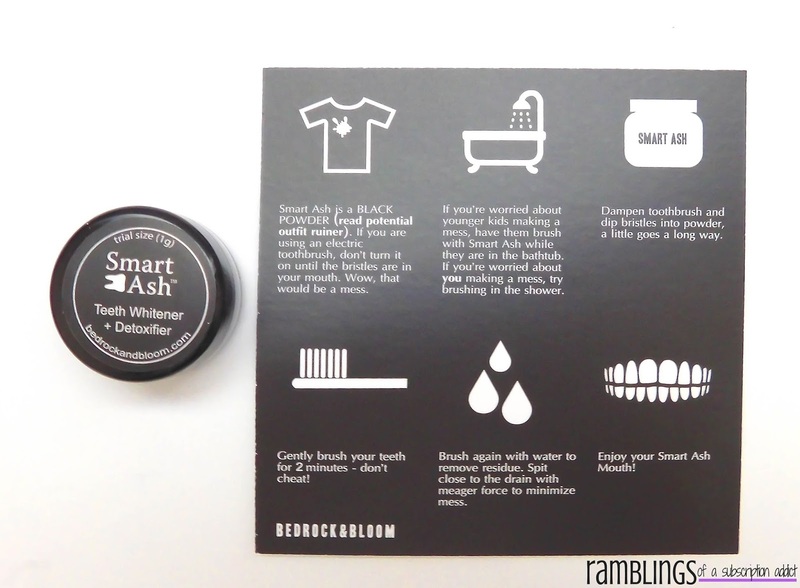 Smart Ash Teeth Whitener (Sample) - This was an added sample to the box, so there is no listed value. It's supposed to be used for a teeth whitener but it just felt a little odd to me, with no added whiteness. This box's value was $65, which is again barely over their projected value. 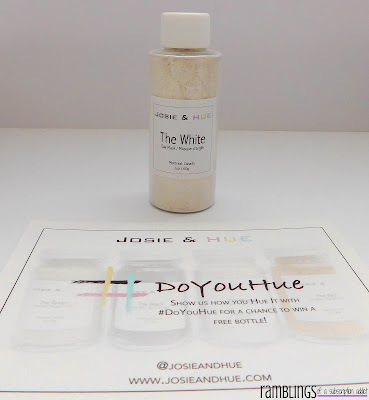 Now for the bad stuff, after the May box, I was accused of misstating information by one of their customer service representatives with their guaranteed value. I was essentially called a liar, even when I showed where it said this information on their website. I did not appreciate being called a liar and then not even apologizing or owning up to their mistake when I showed them this information. I do not recommend LaRitzy at all at this point, and only would consider purchasing in the future if I received a true apology for being called a liar. As always, let me know what you think of this box in the comments.